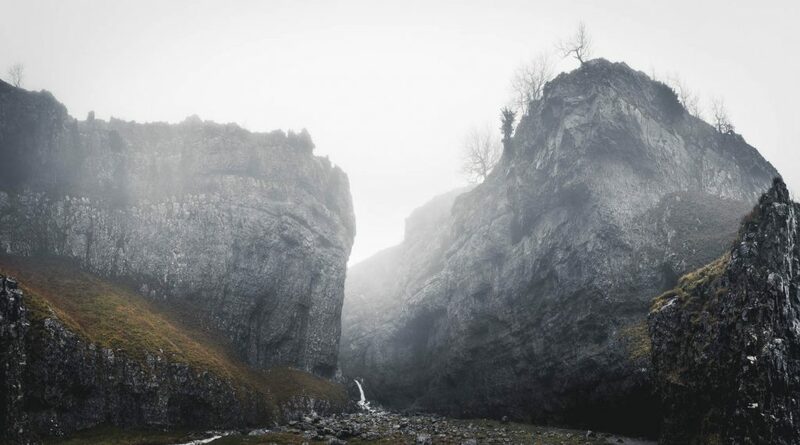 Gordale Scar in Yorkshire; it is a deep gorge carved out of the cliff . There is a scramble that leads up along the waterfall to the top. As you enter the gorge the sides tower above you in most places overhanging and dripping with water. On a day like this all other sound but the rushing and dripping of the water is blanketed out by the mist. It can feel quite eerie to be there alone. I felt as if the trees on the cliff top were like ghostly spectators waiting for something to unfold in the arena below!